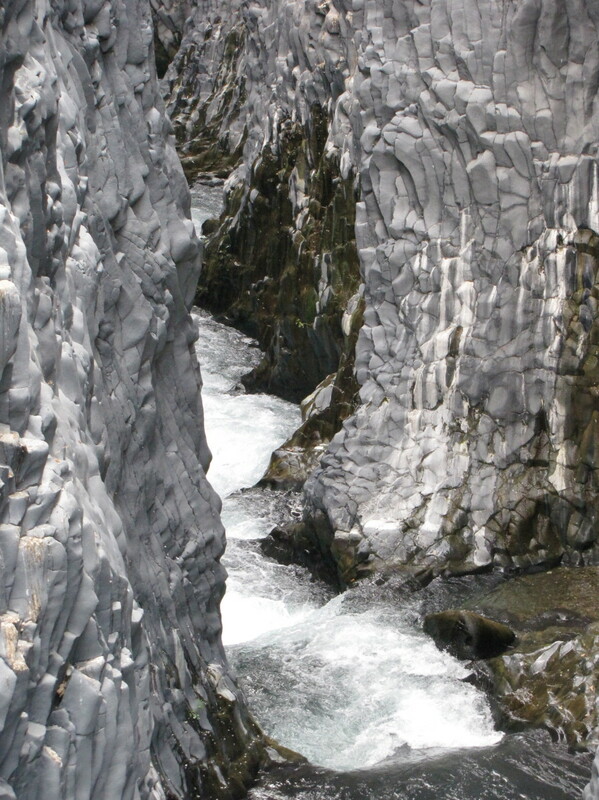 Located on the north slopes of Mount Etna is a very special place that is often overlooked by tourists, the Alcantara Gorge. The locals know this place well, as it is a great spot to cool off during the long, hot, Sicilian summers. Formed by runoff from Mount Etna and the Nebrodi Mountains, the Alcantara River is one of the few rivers on Sicily that runs year round. Several thousand years ago the rivers path was blocked by a large lava flow from the slopes of Mount Etna. 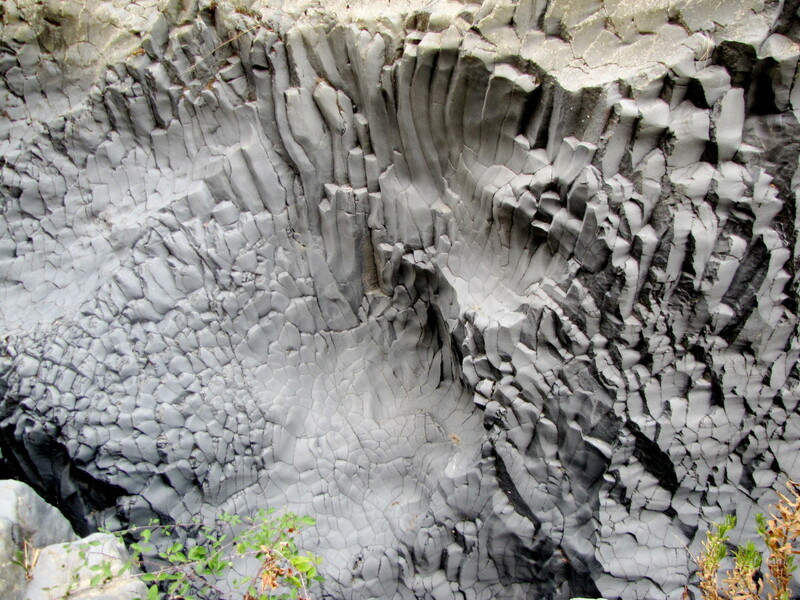 The cool water of the river helped to quickly cool the lava, which resulted in the lava crystallizing and forming the unique ballast rock columns that are visible today. Over the next few thousand years the river proceeded to carve a path through the columns resulting in the gorge that visitors see today. 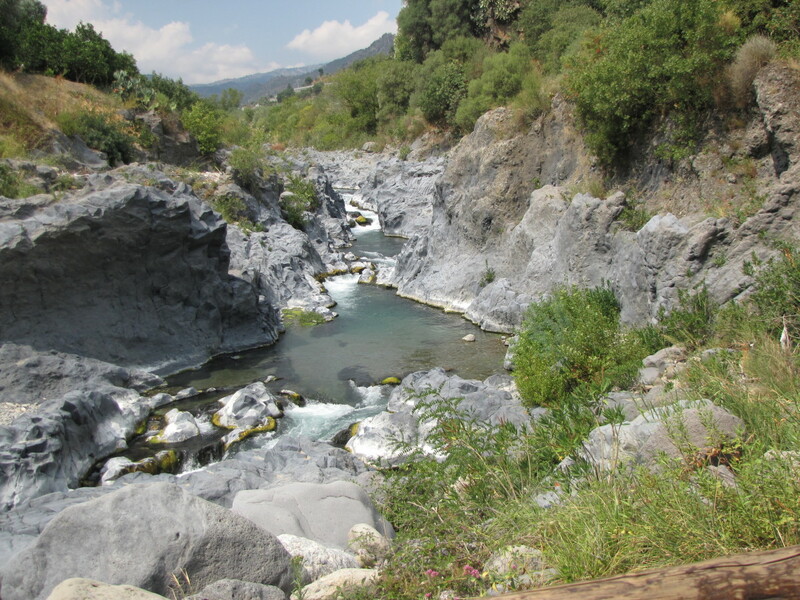 If you are staying in Taormina, then a visit to the Alcantara Gorge is an easy trip and might make for an adventurous little excursion. The gorge is only about thirty minutes from Taormina by bus and considerably shorter than that if you have a car or opt for a taxi. There is much to do at the Alcantara Gorge once you arrive. 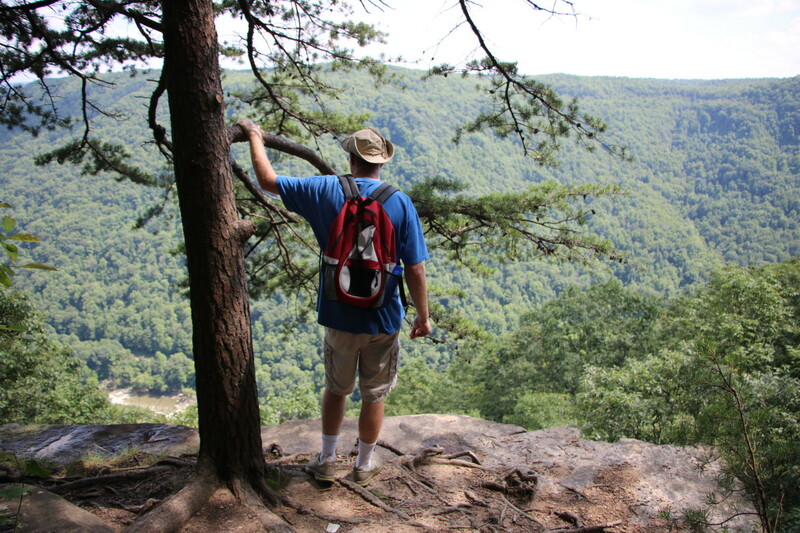 If you like to hike and explore there are numerous trails at the gorge where you can hike along the top of the gorge. If you are looking to cool off you can hang out at Gorge Beach, which seems to be a popular option. The Gorge Trail follows the river upstream along the top of the gorge and offers some great views into the gorge from this unique perspective. You get some great looks at the lava columns that were formed by the river over the millennium. The trail also takes you through some of the botanical gardens and citrus groove areas and has rest areas with benches. This trail is rated as easy and is about ¾ of a mile in distance. This trail offers the best views down into the gorge and is worth the hike. The Alcantara Trail is more difficult and follows the river between Gorge beach and Saje Beach for about a half a mile. This trail will take you into the river at times so come prepared with water shoes or wading boots, which can be rented at the site. A guide is required to venture into the gorge on this trail. The views from the river level up the gorge walls however are quite impressive. The Eleonor Trail is also rated as easy and is approximately a half mile in distance. The Eleonor Trail takes hikers downstream along the top of the gorge in the opposite direction that the Gorge Trail takes you. On the Eleonor Trail you can see the monoliths of lava that were sculpted from the river and some small caves. The Venus Trail is rated as difficult and you will need a helmet and wetsuit for this trek. 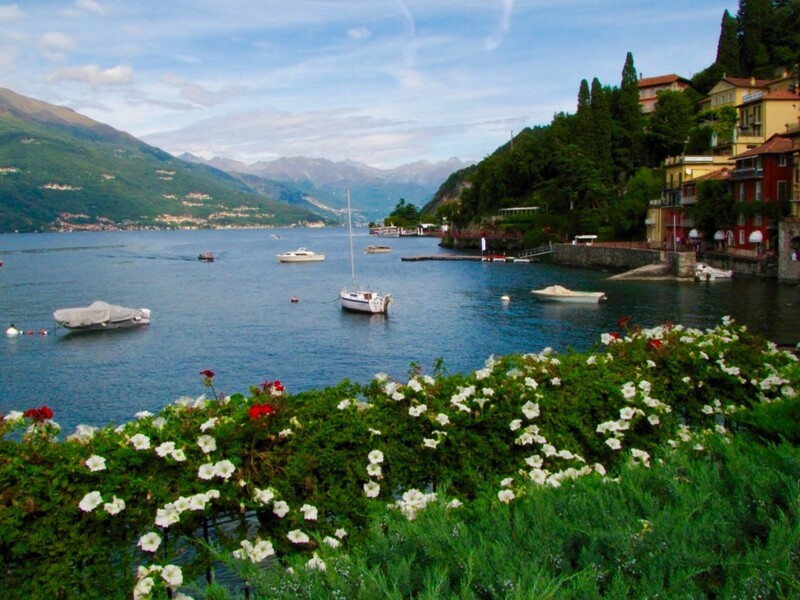 You must also be able to swim, as you will be body rafting and spending most of your time in the water. For those of you who opt for this you will get a cold rush as you float your way down the Alcantara River through the gorge. We did not partake in this one but it looked like a lot of fun and I’m sure the views are wonderful. 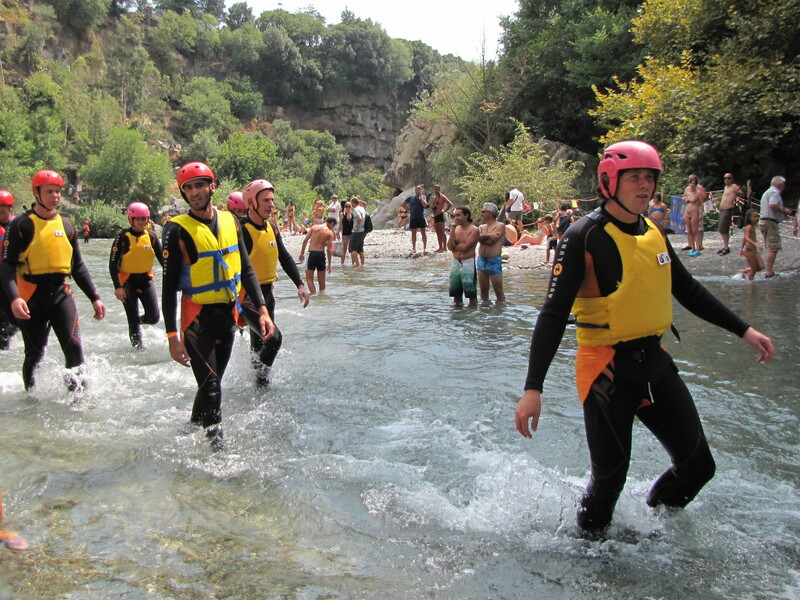 There are a variety of other activities that are offered at the Alcantra Gorge. 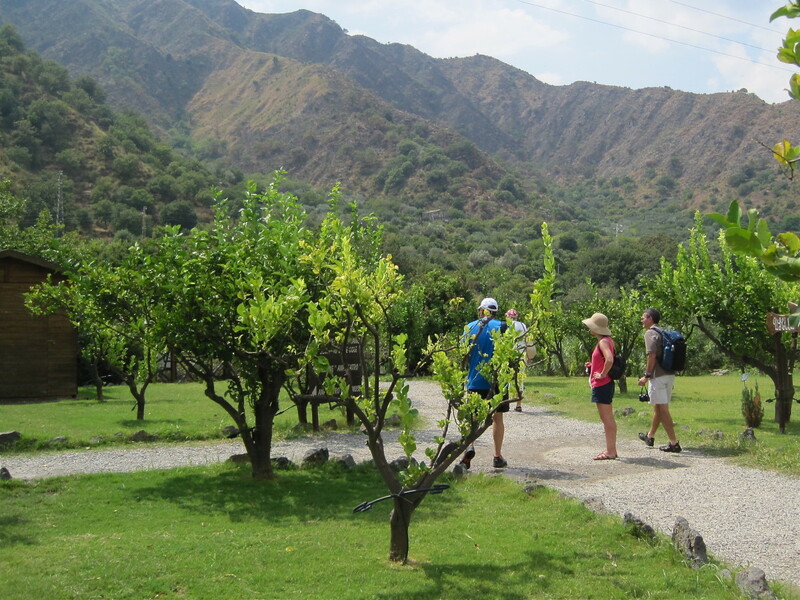 You can take a number of different guided walks through the Alcantara Valley to explore the beautiful landscape of the region. 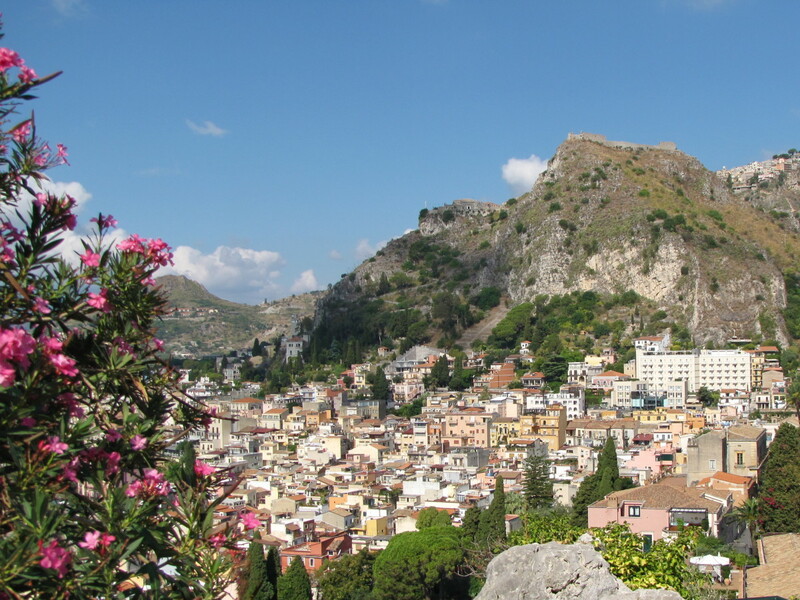 You can also take a Sicilian Cooking Class or participate in local food tasting. Or, it you prefer something different, participate in some olive or citrus harvesting from the gardens and fields of the Alcantara Valley. The Alcantara Gorge is open daily from 8am until sunset. 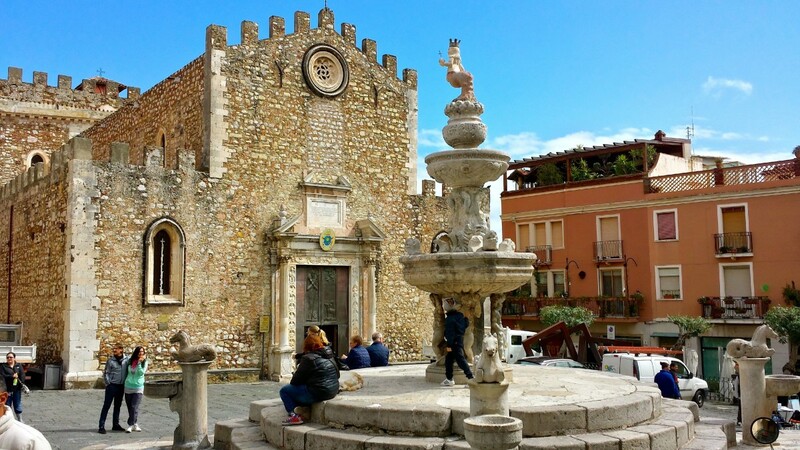 If you are staying in Taormina you can take the bus from the main bus terminal in Taormina. The bus stop at the Alcantara Gorge is right at the entrance to the park so there’s no additional walking or guesswork. If you have a vehicle you can enter the GPS coordinates of the Alcantara gorge, which are: 37° 52’ 46,32” N-O 15° 10’ 29,79” E.
There are changing facilities on the premises in addition to a gift shop and also two restaurants, La Macina, which is pretty casual and the more upscale, L’Antico Refettorio. If you prefer to pack a picnic for the day you can enjoy it on the beach or they have an outdoor seating area up top outside of the restaurant area. If you are looking for a little adventure while visiting Sicily you may want to allocate a half-day or possibly even a full day to cool off in a unique and beautiful setting. While this may not be for everyone it is certainly a change of pace and somewhat off the beaten path. We are currently at a Taormina until Sunday but have been told it's not open! 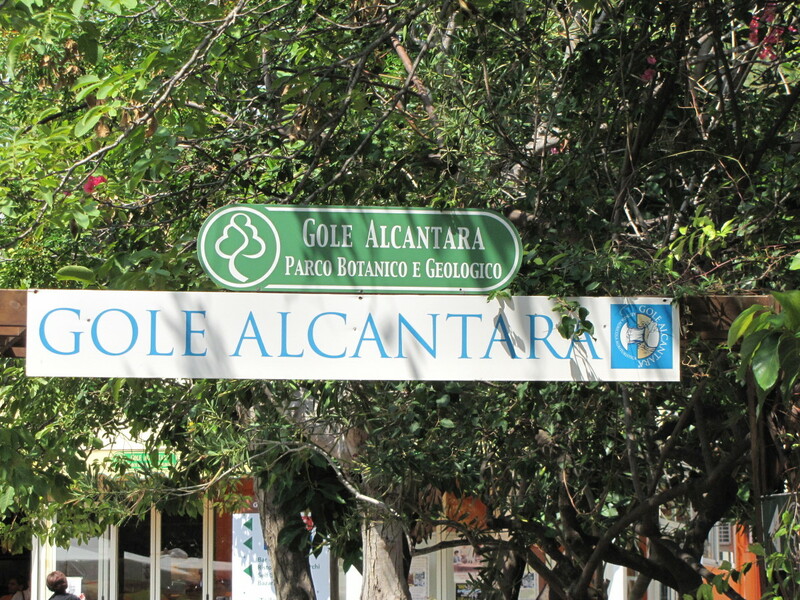 Who should we contact to find out more information about the Alcantara Gorge? Tourist information was no help. Apparently, working men are there part of the day working? Try this website, it has contact information for the Gorge. That's unfortunate if it is indeed closed while you are so close in Taormina. How do I get to the Alcantara Gorge from Catania? Is there a bus? 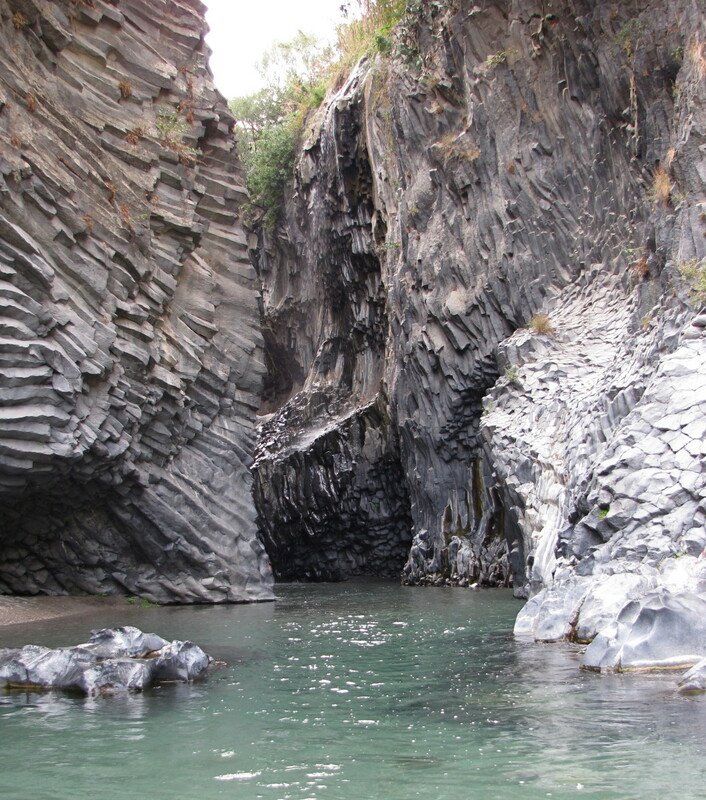 Yes, you can get to the Alcantara Gorge by bus from Catania. Interbus is the name of the bus company, and they leave from the central station in Catania. Are there any trails in the Alcantara Gorge where you don't have to go through water and that is also available in February? Yes, there are trails that go along the top of the gorge. I believe they would be available in February. 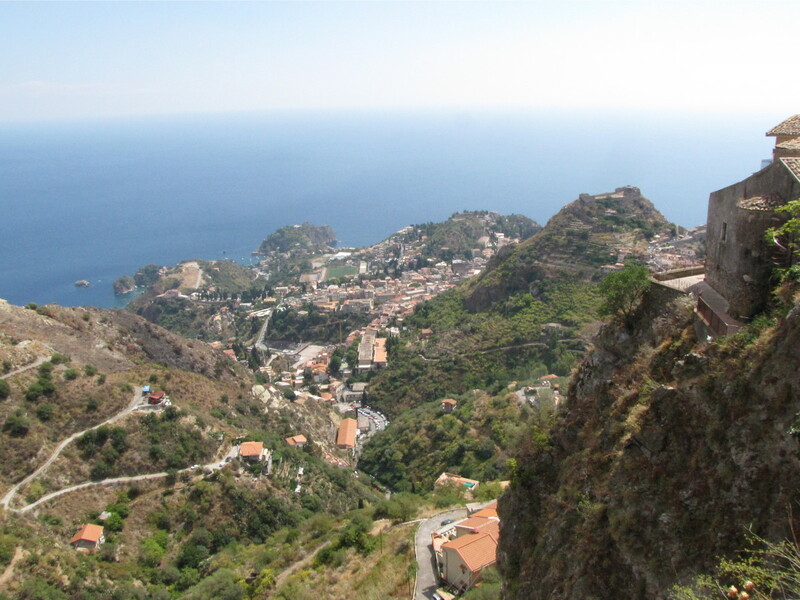 How do I get to the Alcantara Gorge in Sicily from Messina or Taormina? Hi Adrian. Thank you for stopping by. That’s a tough question to answer not knowing exactly how mobile you are. That said, two of the trails that run along the top of the gorge are rated easy. You can see the photo where we are in the citrus groove is pretty tame. As you get closer to the edge of the gorge there will be sections with mild ups and downs and it will be more trail like but nothing overly difficult. You can get some great looks into the gorge without much difficulty. To get down to the river they have an elevator, which makes it easy. Once at the river you can walk the shore or even walk through the water or swim, which is very refreshing. Many folks bring chairs and towels and sunbathe or swim. Would it be worth visiting? I would say yes, again not knowing any of your details. We found it to be a welcome relief from the heat and the gorge is absolutely amazing. We are two elderly couples who will be visiting Catania region next June for one week and this Alcantra Gorge is a place we are looking into as a possible visit. We shall have a rental car at our disposal. Hiking is not that easy for us, so could we have any idea if it would still be worth visiting please? Thanks so much. Absolutely. 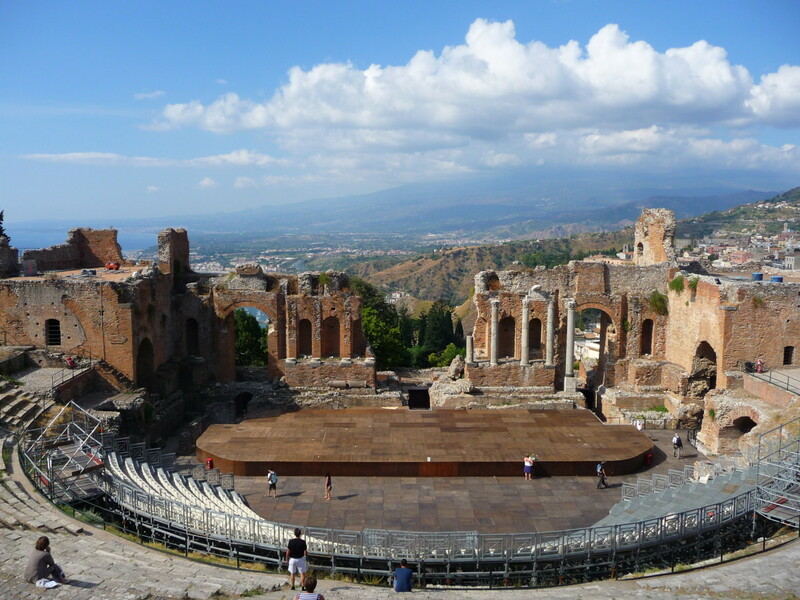 It makes a great day trip from Taormina. 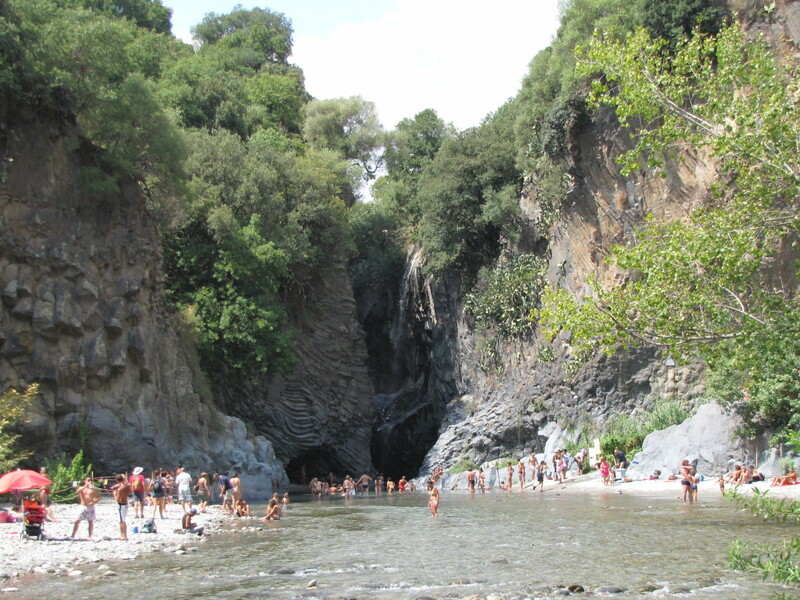 It's also a great way to escape the heat of summer in Sicily with a dip in the cool waters that run through the gorge. Very scenic place. This appears to be well worth the trip to the gorge. Hi Carolyn. Thank You. Sicily does have it's share of natural beauty. We loved our day at the Alcantara Gorge. Thanks so much for the vote and share. Hi Glimmer Twin. Thank You. It is very green compared to most of Sicily due to the Alcantara River running year round. Glad you enjoyed it. Have a great weekend. Another gorgeous hub and what a great place to visit that would be. It's so lush looking compared to what I remember of Sicily. Great hub! Hi Vicki. Glad you enjoyed the hub, will definitely check out your Mediterranean Hubs. It certainly is a wonderful region with so much to see and do. Man thanks. 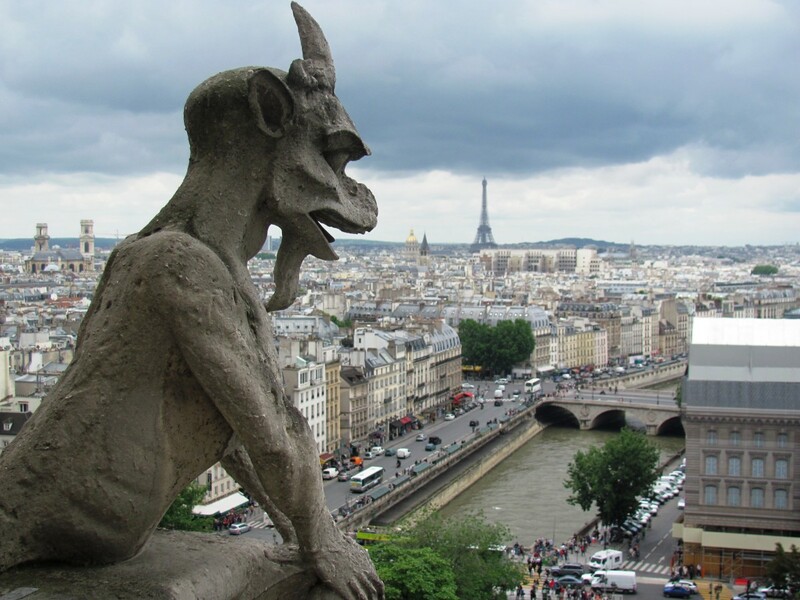 Hi Bill, lovely travelogue with gorgeous pictures! Close to one of my favourite places that I have written about! Just love that part of the Mediterranean. Look forward to reading more. I will come, someday hope to see you there for your next visit as well. Suzie, you are much too kind. 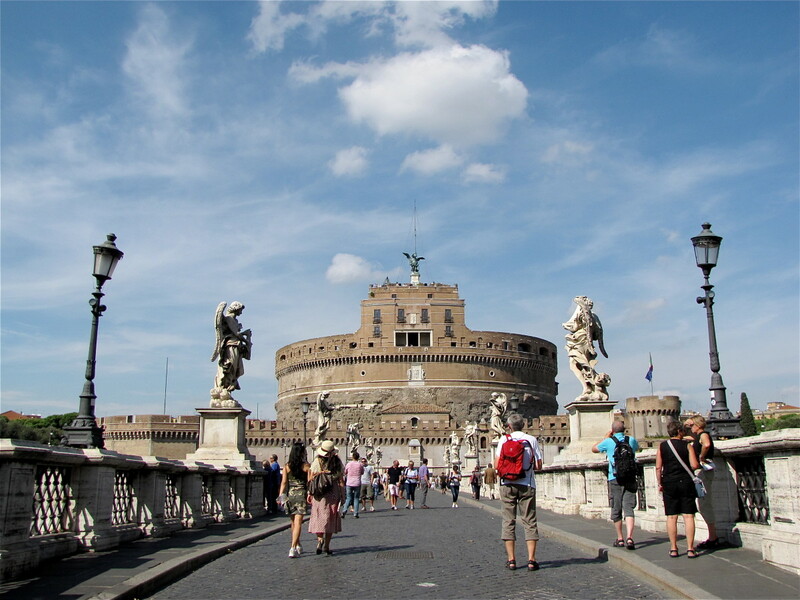 I do appreciate your wonderful support and I know that once you get to Italy you will be off exploring these interesting places and discovering new ones to share with all of us. We did make good use of our time in Sicily and tried to see as much as possible for fear that we will never get back there. I think you know that works, see it all for we may never walk this road again. Have a wonderful Easter. Thanks so much Alicia. I take that as a real compliment. If writing these travel hubs makes people think about visiting these places then I am hopefully on the right track. I do love to travel and explore, and sharing my experiences is the icing on the cake. Many thanks, have a wonderful Easter. Hi John Paolo. Glad you enjoyed the visit to Sicily. I do feel very fortunate to have had the opportunity to visit Sicily and the Alcantara Gorge. Hopefully you get the opportunity someday soon. Thanks for the visit and the vote up. Hi rajan. We actually first learned of the Gorge when we were in Venice and our host told us to make sure we visit the Gorge when get to Sicily. We were sure glad we took her advice. Thanks for the vote, share, etc... Have a great day. Hi srsddn. The rock formations are amazing in the Gorge, very unique and unlike anything I have seen elsewhere. 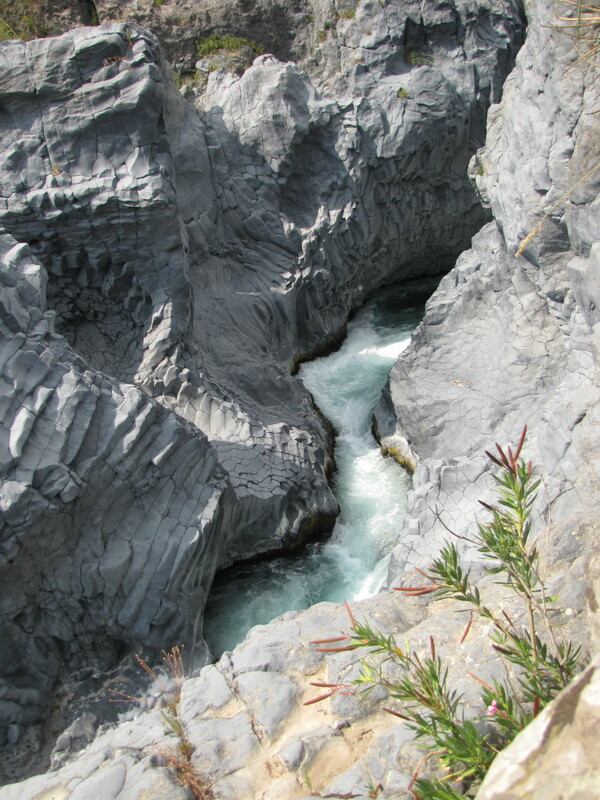 We were happy to have stumbled upon the Alcantara Gorge and would go back if we ever return to Sicily. Many thanks for the visit. How stunning this gorge is! You certainly made the most of your time in Sicily, this is another delight to read. I never heard of the Alacantra Gorge before but when I go to Sicily this is a definite! Would love to try the body surfing as I have never tried it and it sounds like fun! The different trails sound really interesting and love the pics that you have taken here, you are magical behind the camera senor De Giulio. Voted way up, Useful, Awesome, Interesting, Shared, Tweets and Pinned to Italy! Ciao! The photos are beautiful, Bill! This looks like a wonderful place to visit. Every time I read one of your travel hubs I want to get on an airplane and go to the place that you're describing. Thanks for another very enjoyable hub. SUCH natural beauty! your so lucky to experience it there! Nice hub voted up! Bill, the gorge is awesome. I am learning about this place for the first time and these lovely pictures certainly make me want to visit it. Looks like a great spot. Columnar basalt rocks always look grand and I am sure this would be a great attraction for many. Small beach, waterfalls and opportunities for body rafting must put this place as a preferred destination. Thanks for sharing this unique place. Thumbed up. Thanks Prasetio. Glad you enjoyed it. It is a beautiful place and we really enjoyed our visit very much. Thanks so much for taking the time to read and comment. Wow....beautiful. I have never heard about this place. What a truly beautiful place you have found. The photos you included are the best. Thanks for sharing with us. Voted up! Hey DrMark. It really was a very interesting area to visit. If we ever get to Brazil we'll have to check the area there. From what I gather the Alcantara Gorge in Sicily is very well known to the locals but not so much to tourists. It made for a great day. Thanks for stopping by, many thanks. This is really interesting. I did not even know of this Alcantara--there is another in the northern part of Brazil and I thought the name was unique! The Alcantara I visited has no cars and can only be reached by boat, no paved roads or gas stations, but it also does not have body rafting. That looks like a lot of fun!!! Thanks mbwalz. The rock formations really are interesting and different. It was a fun and fascinating place to visit. Thank you for the vote, share, etc. Have a great day. Wow, that was spectacular - thanks for sharing. The rock formations were really fabulous - like other worldly almost. Hi Bill. It's not very well known outside of Sicily but we were told about it by a women in Venice who really recommended that we check it out, so we did. It is very unique to Sicily as it is one of the few rivers that runs year round on the island. I can see how it is popular with the locals during the very hot summers. Thanks for stopping by, enjoy your day. Spectacular geography, Bill! I never knew it existed. Thank you once again for taking me along on your journey. Another fascinating travel adventure. Looks like you have done lots of great trips. I am not sure sure I would do the body rafting..I hate being cold. Great job Bill..Voting up++ and pinning in my travel section where your other travel hubs are.